Some of you reading this might know her best from the drama series that earned her that Emmy in 2015: How to Get Away with Murder, which is currently in its fifth season on ABC. Whereas Broadway fans bow down to Davis thanks to her two Tony wins: for King Hedley II in 2001 and Fences in 2010. And then there are film buffs like me, who had taken note of Davis’s supporting performances over her decades-long career, but who really sat up and paid attention in 2008 … which leads me to my list of 4 of her best movies! Doubt – This is the film I was referring to that was truly Davis’s big-screen breakthrough. In this drama set at a Catholic church in the Bronx, Davis won raves for her role as the indifferent mother of the only black boy at the parish, who may or may not be in an inappropriate relationship with a priest (Philip Seymour Hoffman). Two nuns, played by Meryl Streep and Amy Adams, attempt to get to the bottom of the matter. All four stars earned Academy Award nominations for their performances. Fences – The third time was the charm for Davis, who was nominated for her third Oscar and finally won Best Supporting Actress after reprising her stage role as Rose Lee Maxson, the long-suffering wife of Troy (Denzel Washington), a garbage man in Pittsburgh. Like Davis, Washington had also starred in the Broadway version and had also won a Tony for his performance. 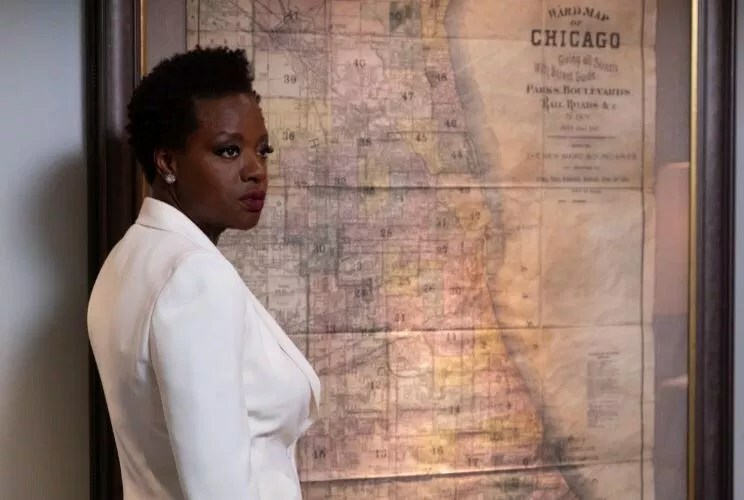 Widows – And finally we come to Viola’s most recent movie, which is a drastic departure from the others on this list. It’s a fast-paced heist thriller set in Chicago, and Davis is the leader of an all-female pack who’s forced to take over the reins after her criminal mastermind husband (Liam Neeson) and his crew all die in a job gone wrong. While it didn’t earn any Oscar nods, it did end up on several film critics’ Top 10 lists for 2018, in addition to scoring Davis a BAFTA nomination for Best Actress in a Leading Role. We’ll find out if she won at the ceremony this Sunday, February 10! What’s your favorite Viola Davis performance across stage, TV or film? And how can we help her win a Grammy so that she can be the 16th person ever to achieve the highly coveted EGOT status?